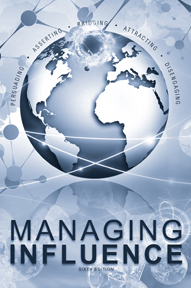 The Managing Influence Reader accompanies and supports the Positive Power and Influence® Program. Part One covers the four influence styles by looking at the background and appropriate use of each style. There is also a demonstration of the effective use of each style. It also covers the Influence Tactic of Disengaging. Part Two includes articles that address the most difficult influence problems people face during a critical situation. These include a discussion of positional power issues, working relationships, and the self-development process itself. 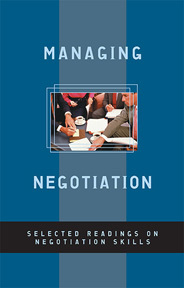 The Managing Negotiation Reader accompanies the Positive Negotiation Program. It promotes critical thinking and planning skills involved in a negotiation and helps people chart an ongoing development plan for the practice and application of negotiation skills. It walks you through the Phases of Negotiation and various aspects that are critical to the Negotiation Process. Also included are readings such as The Behavior of Effective Negotiators and Negotiation Power and Strategy, among others. Lastly there is an area that focuses primarily on conflict resolution.